Believe it or not, I have been getting turns in lately and today was no different. Andrew and I hiked out the gates at the top of Ninety Nine 90 and found a great stash of powder that we lapped through the late afternoon. 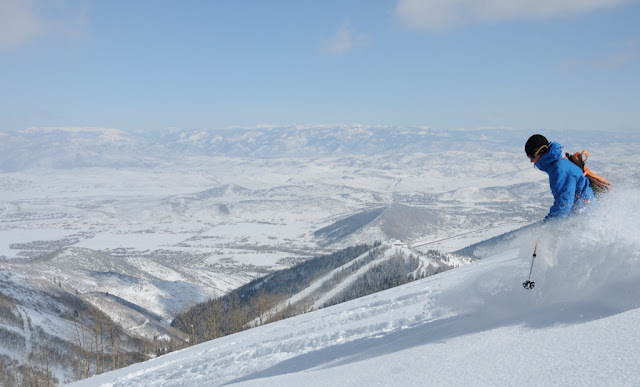 Andrew throws around some of Utah's cool powder high above The Canyons. I got a few turns in too, though I admittedly got held up once or twice by the deep snow. The deeper the snow, the faster you have to go and I wasn't always going fast enough. Lesson learned. The snow began to fall as the sun lowered in the sky, so we headed back to the resort for some hot chocolate and pretzels. It was a great day of lift-accessed backcountry, which can be a great time. 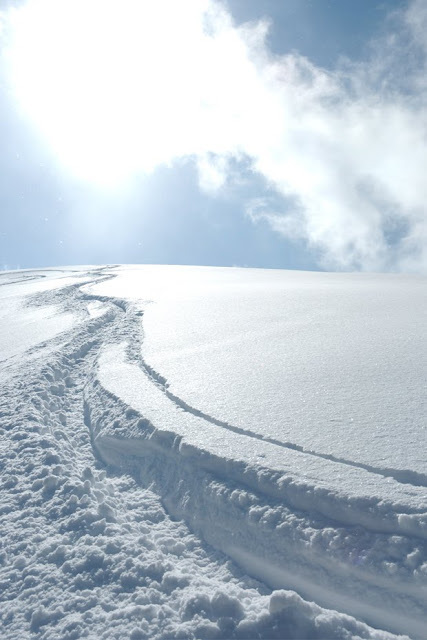 A little extra effort at the resorts usually pays big dividends, but it is alarming how many resort skiers decide to head through the gates with no backcountry safety equipment or knowledge. Scary. Loving the third shot! 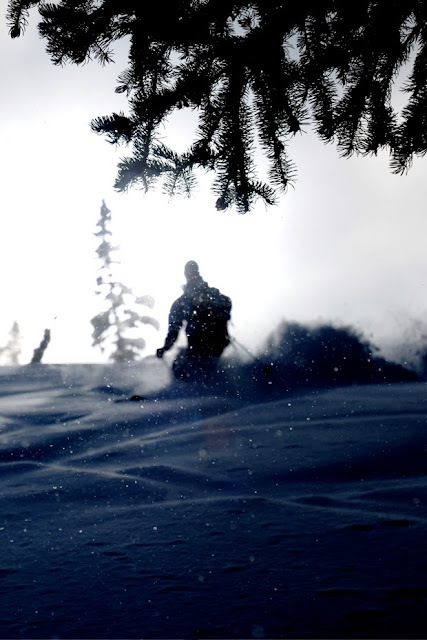 Snowing in Tahoe again, get some! Not bad, eh? Off to Colorado, getting some!